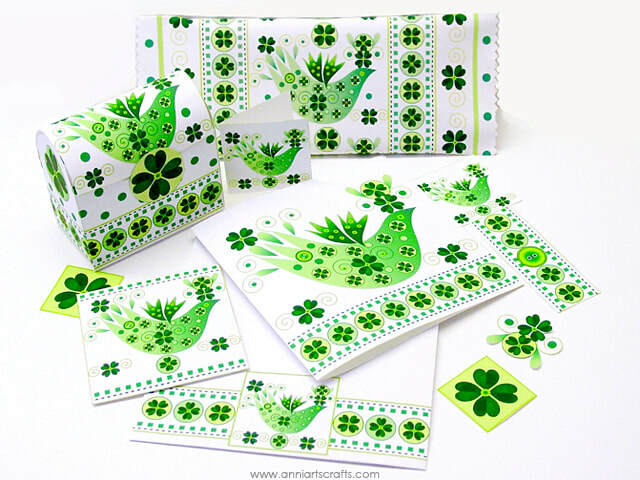 A charming lucky Shamrock Bird on a range of printables brings Irish good luck to everyone. ​Ideal for birthdays, St Patrick's Day and all Irish greetings - or general clover luck. 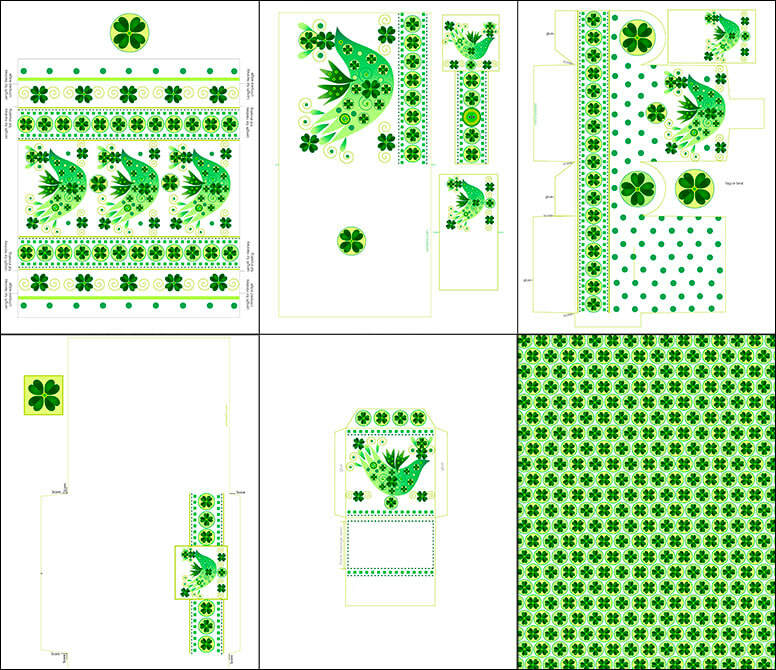 Share some Irish good luck with this bird in pretty green and white designs of clover lucky charms. and plain paper for the paper projects. ​which is great for double-sided printing.